>> Guru.Com Review-Is It The Best Site For Freelancers? Thanks for joining me today for this review of Guru.com. Maybe you have never heard of this website before and you are wondering what it is all about, or maybe you have heard about it and you want to know if it matches up to other similar sites out there. Either way this Review will inform you of what you need to know about Guru.com before you decide to sign up. Guru.com is a website that connects professional freelancers with clients seeking to have various jobs done. 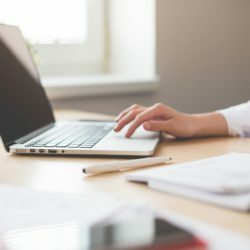 Previously known as eMoonlighter.com, Guru has since rebranded after facing several struggles, to become one of the leading freelance sites available today. However, is it the best site for freelancers? Lets find out……. Like most freelance websites, you can register either as an employer or a freelancer. One of the good things about this platform is that it is open to freelancers all over the world, but you must be 18 years or older to join. You just need to enter your full name and email address, and set up your password. Your account will be created as soon as you verify your email address. It is important to realise that creating your profile/portfolio is crucial to finding jobs. The Guru.com YouTube channel has videos that explain how you can get the best out of the platform, including setting out your profile, see the video below. You must indicate the type of services that you are offering, your skills and expertise, and your preferred rates. Your portfolio must also contain a few samples of your work. You have the option to choose between free and paid membership. Free members are limited in the number of jobs they can bid for, but Guru offers you an option to purchase more bids. Paid members enjoy up to 600 bids per year, plus additional perks depending on the membership level. Guru.com uses a bidding system where freelancers have to tender for work. This means that you must contend with numerous bidding wars to secure a job. Free members only have 10 bids per month while paid membership offers up to 50 bids per month. Additional bids are available to all members, but at a fee. Also, only purchased bids rollover to the next month while normal bids expire. You may use as many as 6 bids to apply for jobs advertised in your category. However, this option is only available for paid membership. Free members can only use a single bid per proposal. Once an employer accepts your quote/proposal, you must enter into an agreement to determine how and when you will get paid when working on a job. Guru offers four types of agreement options. Pay by Task – The employer creates various tasks and assigns them to one or several freelancers. Funds are only released when the assigned task is completed. Pay by Hour – The employer and freelancer may agree on an hourly pay rate and the number of hours the freelancer should work per week. An invoice is sent to the employer at the end of every week until the job is complete. Pay using Recurrent Payments – The employer creates payment cycles for each freelancer and payments are made weekly, monthly, or quarterly depending on the agreement. Employers and freelancers are encouraged to keep in touch and communicate consistently to avoid any misunderstandings. This ensures that the freelancer performs assigned jobs as per the requirements of the employer. It also ensures that the employer abides by the payment agreement. Guru has a Safe Pay system where employers have to fund their projects before you begin working on them. However, they have a right to deny payment in case the job done does not meet their expectations or requirements. You may request for payment at anytime so long as your invoice has been approved. Payment methods include PayPal, Payoneer Prepaid MasterCard, Direct Deposit and Wire Transfer. Are There Any Other Costs At Guru.Com? Apart from the job fee, freelancers have to part with a certain amount to undergo various skills tests. Free members must pay $4.95 while paid members pay $2.95 per test. What Is Good About Guru.Com? What Isn’t So Good About Guru.Com? From our findings I wouldn’t consider Guru.com is the best website for freelancers. They charge high fees for a lot of things. Although they offer free membership, this option is highly limited in terms of the number of jobs you can apply for in a month. Not only that, you also have to contend with bidding wars before you secure a job. Additionally, the complaints about not receiving payments for work done are another major concern. Nevertheless, as a freelancer, you are encouraged to join as many platforms as possible to increase your income potential, and you may find that Guru.Com works well for you. Star Rating 2.5/5-A legit freelancing platform that is available to members Worldwide. The fees however are high, and members have complained about payment issues so you should proceed with caution in this respect. If you are serious about freelancing then the best way to promote your services and brand is with your own website. A website can also maximise your earnings as it can provide you with numerous sources of income whether it be via affiliate marketing, selling your own products or creating courses. I’m glad that my review of Guru was informative, I wish you all the best with your online endeavours. Thanks for reading and for your comment. It sounds like a pretty cool platform to grab some work online, but I am a little concerned about the membership setup of this system. You say that the free membership comes with a sort of limit or ceiling on what jobs, or how many jobs you can bid on – what is this limit set to? Yes the paid memberships will probably be off putting for some. You are limited to just 10 bids per month with the free membership, so this will obviously reduce the opportunities for freelancers on the site. If you want to create a good income on this site you would need to consider the paid options. Thanks for this review of Guru! I had done a lot of research of freelance writing websites before I eventually landed on Wealthy Affiliate. Many of the cons you highlight are common among the sites I researched. I can’t tell you how many times I have read reviews that talked about bidding wars, making it hard to build your resume or get your worthwhile in payment because there are a lot more experienced writers or you have to keep your bids so low to actually win any. I’m also not a big fan of the fees this one charges however. I think I’ll be avoiding this one thanks to your open and honest review! Thanks again! Yes it can take some time to establish yourself as a freelancer, and the reality is that you may have to take low paying jobs until you get regular clients. The competition can be tough but it is possible to make it as a freelancer if you are determined and persistent.